The Food Safety and Modernization Act is a rude awakening for many farmers. But will it really address the root of the problem? The food safety blog features such stomach-churning headlines nearly every day – their tagline is “breaking news for everyone’s consumption” – but stories about foodborne illness seem more and more of a staple in mainstream news outlets, as well (just ask Chiptole). But are we really having an increase in outbreaks? Or are we just talking about it more? Well, depends how you crunch the numbers. I spent a lot of time this summer on foodsafetynews.com (which I don’t recommend before dinner, by the way) while researching a story on the Food Safety and Modernization Act for our fall issue (see: Navigating the FDA’s Food Safety Maze). Proponents of FSMA, which was first passed in 2011 and is only now being implemented, bill it as a once-in-century overhaul of our nation’s food safety system that will drastically reduce the incidence of foodborne illness over time – the FDA expects to avert 331,964 illnesses per year, to be exact. But it gives the FDA unprecedented power to police the food system, which is why its detractors see it as an example of egregious government overreach. 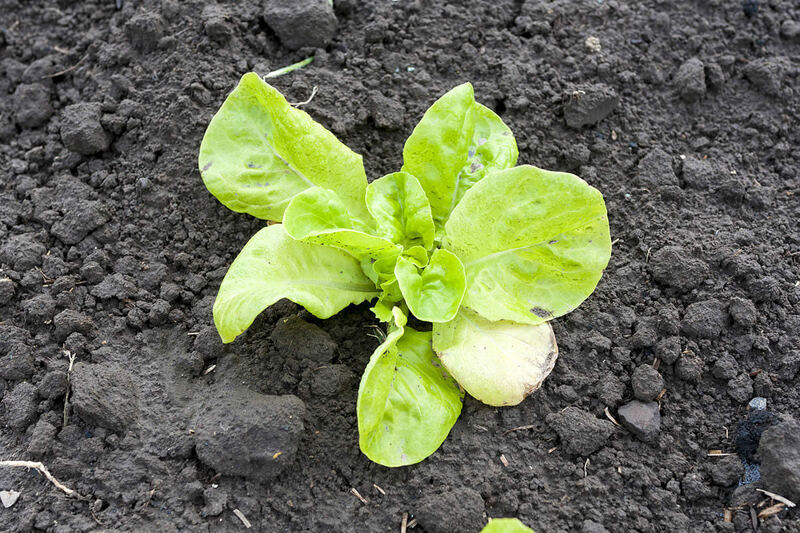 FSMA places particular emphasis on fresh produce, specifically, how a farmer’s cultivation practices affect its safety, an arena in which the FDA was rarely involved in the past, except in the case of an outbreak. In fact, a massive E. coli outbreak that was traced back to a small farm in San Benito County, California is often fingered as the event that set FSMA in motion, and created the political will to get it passed in Congress. But as I learned this summer, there is ample room for debate about whether FSMA will actually prevent outbreaks that originate on farms – and plenty of evidence that it will cause economic distress to small, diversified growers. Since the article raises as many questions as it answers, here’s a helpful FAQ of sorts. How common are foodborne illnesses? While the number of food-related deaths and illnesses are much higher in less developed countries, such as India, most Americans are surprised to learn how common outbreaks are in our hygiene-obsessed society. According the Centers for Disease Control and Prevention, 48 million Americans, or about 1 in 6, get sick from foodborne pathogens each year. Of those, 128,000 are hospitalized and about 3,000 die. What’s the difference between ordinary “food poisoning” and severe outbreaks that kill people? Fifty-eight percent of foodborne illnesses are caused by norovirus – a pathogen responsible for the classic symptoms of food poisoning (debilitating, but short lived) – which often doesn’t spread beyond a single household. Extensive, multi-state outbreaks tend to be associated with more virulent pathogens, such as strains of E. coli, Salmonella, and Listeria. There are an average of two multi-state outbreaks each month, and while these are responsible for just 11 percent of all foodborne illnesses, they account for more the half of the deaths. Which types of food are most associated with harmful pathogens? Most people assume the answer is meat and dairy, which may be true when it comes to the 48 million total illnesses each year. But the CDC does not have the means to track every individual case of food poisoning and make a determination of whether it was the hamburger you ate or the salad. It does, however, try to determine the source for every major outbreak. When the agency analyzed data from the 4,600 outbreaks between 1998 and 2008, they found that 46 percent of illnesses were traced to produce, but that these rarely resulted in death. Meats are principal culprit in food-related deaths, with the largest number (19 percent) attributed to poultry. Where do produce pathogens originate? FSMA places an emphasis on policing produce at the farm level, but it’s unclear whether the bulk of blame lies with farmers or if we just need to make sure we wash our vegetables. The data is spotty, but there are a few clues. First, it must be noted that the CDC is able to determine exactly where in the food chain a pathogen originated only about 40 percent of the time. Between 1998 and 2008, the pathogen was found to originate on a farm about 5 percent of the time. Data from 2009 through 2012 show that number going down to around 1 percent. More detailed data is available for norovirus, which shows that 80 percent of outbreaks between 2001 and 2008 originated in places like restaurants and other commercial food facilities. Between 53 and 81 percent of norovirus outbreaks during this period were thought to stem from sick food service workers. Are foodborne illnesses really on the rise? Many headlines of late have suggested as much. The answer depends on exactly which types of illness you’re looking at; and the implications of the various datasets are often hard to parse. The CDC states that illnesses from six of the most common pathogens have declined by roughly one-quarter since the late nineties. But in terms of major outbreaks, the numbers seem to be on the rise. Lately they average about 24 per year, while in the early 2000s there were about 10 per year. When it comes to produce, the CDC claims that outbreaks have increased dramatically over the last several decades – 455 produce-related outbreaks were documented between 1998 and 2008, more than twice the total number for the preceding 25 years. Imported food is to blame. Indeed, we import more food than ever before, especially fresh produce, often from countries with less rigorous food safety rules, or at least fewer resources to enforce them. The CDC reports that outbreaks related to imported food have roughly tripled since the late nineties. Organic produce is unsanitary. It’s true that organic produce is typically grown with manure, a common vector of foodborne pathogens, as a fertilizer. But research has not revealed a correlation between organic produce and increased levels of foodborne illness. Excessive antibiotic use. In April 2015, 192 people were sickened by pork contaminated with an antibiotic-resistant strain of Salmonella, raising concerns that the overuse of antibiotics in livestock could make meat-related outbreaks more deadly. Centralized food systems. Critics of industrial-scale agriculture point to the consolidation of farms and food distribution networks as the cause. It’s certainly true that an outbreak on a small farm that supplies produce to 100 families poses a much smaller threat to public health than an outbreak at a distributor that supplies produce to grocery chains nationwide. In other words, the answers are multi-faceted, and, at this point, unclear. You’d think advances in technology would be driving these numbers down over time, but, in some ways, technology may be what’s driving them up. The ability to collect data on foodborne illness, and to link outbreaks with specific causes, has improved drastically, which may have as much to do with the increase as anything else. One concrete example is that in 1998, when the CDC switched to electronic reporting for its nationwide Foodborne Disease Outbreak Surveillance System, the total number of reported outbreaks nearly doubled in the following year. Before the switch, the numbers had remained relatively flat from year to year. Following the initial bump after electronic reporting was introduced, the numbers also remained fairly flat, albeit higher overall. Thus, the alleged increase in illnesses may only represent an increase in information.